Design your own Elegant Typography & Greenery Couple&#;s Baby Shower Invitations with these easy-to-use templates by Eugene Designs. 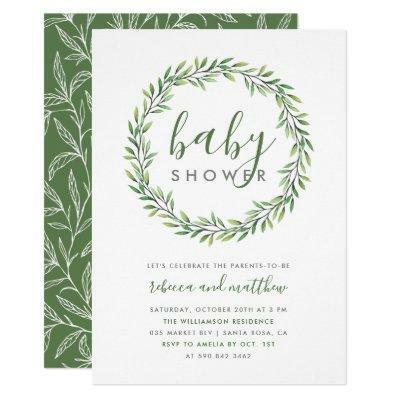 This baby shower design consists of watercolor wreath and modern typography on a simple white background. On the reverse, there is a white hand-drawn botanical pattern on a matching green background.